Ninety years is a long time for anything to last. Few companies last that long. Most humans do not and most public policy becomes stale after 90 years. In 1926, the U.S. Supreme Court in Euclid v. Amber Realty held that local zoning ordinances were a valid exercise of local police power and did not violate the constitutional rights of private property owners. This nearly 90-year-old court decision empowered local governments to not only enact local land use regulation through zoning codes but moved American public policy to be a separation of uses through these same zoning codes. Traditional “Euclidian zoning” is a local government mandate on private property owners. It separates uses of property and defines whether a tract of land can be used for residential, commercial, industrial or retail. Euclidian zoning is now widely used in communities throughout the United States. Local governments play a role in regulating the use of land as part of the real estate development process. Cities predominantly use the traditional Euclidian zoning approach. The question is now whether America should continue on the path of Euclidian zoning or move in other directions to foster greater economic development. Euclidian zoning is a product of the Industrial Revolution. 19th century American factories were not pretty places. They had no environmental regulation to prevent them from polluting the air, land and water. These factories were often located in urban centers as most workers walked or took mass transit to work. Those ugly 19th century factories became the American economic driver providing high-wage jobs for well over 100 years. In fact, by 1950, nearly 1/3 of every American worker was engaged in the manufacturing industry. America is no longer dominated by the manufacturing industry. According to the Commerce Department, from 2000 to 2009, America lost over 30 percent of its manufacturing jobs and the percentage of the U.S. economy focused on manufacturing dropped from just over 13 percent to around 9 percent. More importantly for a zoning discussion, fewer major manufacturing facilities are located in urban centers. Urban centers usually require complex transactions with the reuse of land rather whereas a rural community can turn a cornfield into a factory. The original policy impetus surrounding public health, which supported the adoption of zoning, is gone. Advocates for Euclidian zoning argue land use regulation alleviates market failures such as negative externalities or social costs, and provides a public good. Euclidian zoning advocates claim private negotiations between property owners will not protect the public good. Government in the world of Euclidian zoning plays the role of neutral decision-maker, balancing the interest of the property owners and the region with each economic development opportunity. The strongest policy argument for Euclidian zoning is that it creates a predictable business climate under which developers know where and what type of development can happen on particular parcels of land and what the process will be to accomplish this development. Predictability is a fundamental business issue that incentivizes financial commitments. Advocates of Euclidian zoning also argue traditional land use regulation improves the welfare of landowners illuminating the negative externalities among different uses. Euclidian zoning advocates argue like uses are of greater value when grouped together. In fact, advocates of Euclidian zoning claim without land use regulation, landowner’s property values decline. Land use regulation improves landowner’s property values due to the environmental amenities preserved by land use regulations. Some local zoning codes mandate specific land use down to the micro level. In fact, a recent review of the Philadelphia Zoning Code found the local zoning ordinance actually identified regions where pasta can be made. As Euclidian zoning approaches its 100th birthday, it is time for public administrators to ask whether this land use regulation model makes sense to keep or does it result in a substantial negative economic development impact. In a post-Industrial America, the question public administrators are faced with is whether the strict Euclidian coning codes actually operate to harm economic development. Let’s look at the use of mixed-use zoning and its impact on economic development. 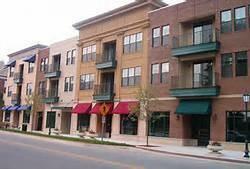 Mixed-use zoning is used selectively in targeted urban neighborhoods to revitalize a commercial strip. Such zoning is created through an Urban Overlay District or tied to a Transit Oriented Development District. Mixed-use zoning recognized the pre-Euclidian development patter of ground floor storefronts, with residents in the upper floors, created walkable neighborhoods not dependent on the car for existence. The Washington, D.C. metro system, with a zoning code encouraging development around light-rail stops, produces substantial economic development. The system, planned in the 1960s, was an opportunity for communities such as Arlington, Virginia. According an Urban Land Use report, the Arlington, Virginia urban corridor covered by the D.C. Metro Orange line grew from 5,600,000 square feet in office space and 2000 residential units in 1970 to 21,000,000 square feet of office space and 25,000 residential units. Mixed-use zoning creates compact developments, concentrating customers and spurring economic development. Compact developments create a concentration of customers in a consumer oriented, service economy and develop stronger commercial strips to support surrounding residential centers. Compact, mixed-use developments reduce energy and infrastructure requirements and pollution as public transit becomes feasible. Compact, mixed-use developments better connect residents in walkable communities. Free-market advocates promote land use regulation models used by Houston, Texas. No major city in the United States has seen as much economic success as Houston. In fact, the Greater Houston Partnership reports that Houston has gained more jobs since the economic recovery than any other major metro area—gaining 230 percent of its jobs back. How is Houston doing it? The energy industry is clearly one answer. However, Houston’s land use model is another reason for this growth. Houston does not have a Euclidian zoning model but instead divides the city into two broad land use zones. The real estate development process is simplified compared to other urban areas. Houston’s impressive economic development supports the argument that the marketplace and not the government provides the best incentives for the segregation of uses and even produces patterns of development similar to what is produced under zoning. The Houston land use regulation model permits the marketplace to determine if it is a better location for a gas station or commercial strip center on a major roadway and not in a residential center. The land use controls Houston does have are less burdensome than most traditional zoning codes but cover the basic land use issues to provide a level of predictability for business. Whether the answer lies in Texas or suburban Washington, D.C., public administrators need to consider whether their traditional Euclidian zoning codes are operating as an impediment to economic development. Author: David J. Robinson is an adjunct faculty member at the Ohio State University, John Glenn School for Public Affairs. He is principal of a policy and economic development consulting company known as the Montrose Group, LLC. Robinson can be reached at [email protected].